A powerful antioxidant and anti-inflammatory agent, ginger has also been shown to activate T-cells to help get your immune system going. This spicy root (in addition to the added hot sauce in the soup) may also cause you to sweat a little, which actually produces germ fighting agents in the skin to fight off infection. Scallions, a member of the onion and garlic family contain allyl sulfides and bioflavonoids which help stimulate the immune system, suppress inflammation and promote detoxification. Finally research shows that mushrooms have antiviral and antibacterial effects. And the selenium in mushrooms may help to decrease your risk of developing a more severe case of the flu. This delicious, easy to make and healthy soup can be enjoyed daily to help boost the immune system and warm you up on a cold winter day. Thanks Rachael for the inspiration! Chop, slice and/or peel scallions, mushrooms, cilantro and ginger as directed above. Pour vegetable broth into pot and add remaining ingredients through sesame oil. Bring to a boil. Turn down and simmer about 15 minutes, until mushrooms are cooked through. Discard ginger pieces. Add raw but scrambled egg into soup and it will cook immediately. Serve and enjoy! Note: the flavors in this soup are even better the second day so make a double batch so you can save some for another day. 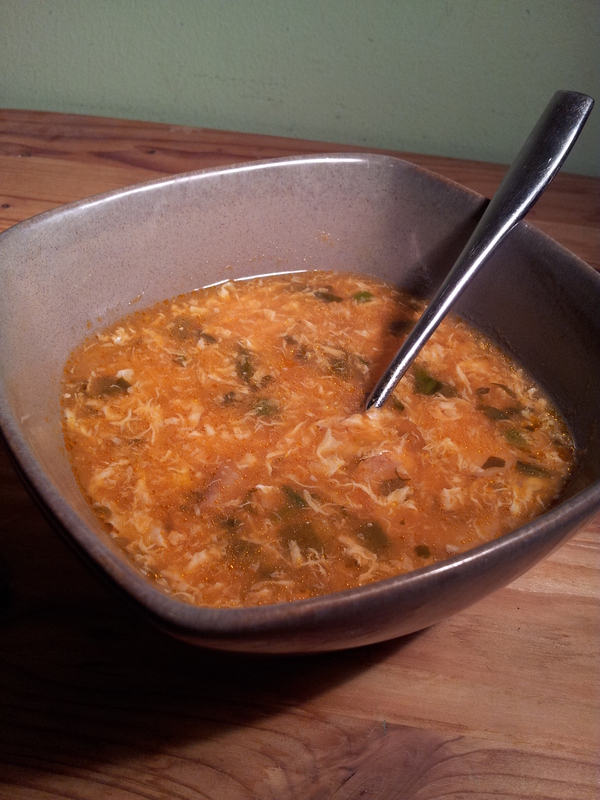 I’ve since made this soup with chicken stock and I think it’s even better!